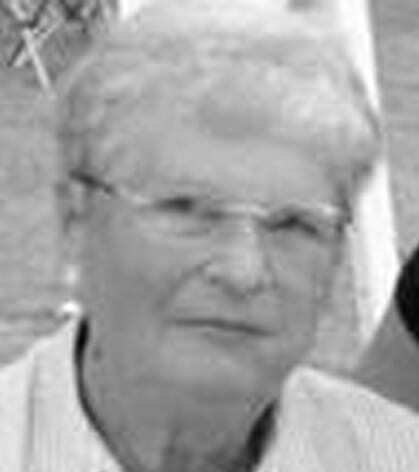 Janice Audrey Keefer (Colon), 84, of Fayette and Zephyrhills, Fla., died peacefully Monday, April 1, 2019. Left to cherish her memory is her husband of 64 years, Edgar; their children, Kim (Bob) Harmon, Karen (Ken) Pfeifer, and Bartley (Kay) Keefer; grandchildren, Chris (Jessica) Harmon, Kyra (Jan) Fleuren, Shane Harmon, Katie Farrell, Lacey (Brandon) Phillips, Eric (Rachel) Pfeifer, and Lucas (Mary) Keefer; 11 great-grandchildren; a brother, James (Rita) Colon; and many nieces, nephews, and dear extended family. She was preceded in death by her parents, Kahl and Jessie Colon, and grandson, Daniel Farrell. A memorial service will be held at a later date. In lieu of flowers, contributions to St. Jude Children’s Research Hospital would be appreciated. Be the first to comment on "Janice Keefer"